Part of the Arizona desert lifestyle is enjoying beautiful weather nearly six months out of the year. At Porchlight Homes, we love that we get to create homes where the backyard space is just as important as the indoor space. Are you already dreaming of having an iced tea on the patio while your husband grills up some burgers? 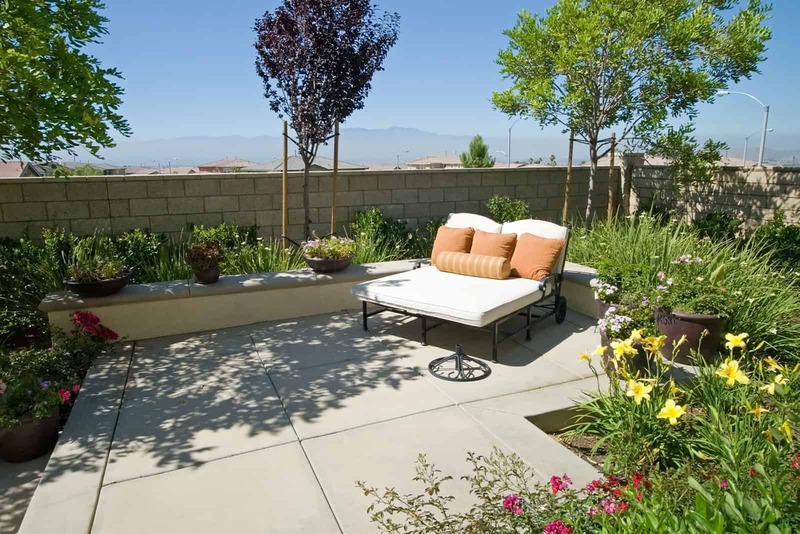 With a brand new home, you have a blank canvas for creating the backyard oasis of your dreams. We want to inspire you to dream big when it comes to your backyard oasis. With gorgeous views and plenty of sunshine, you’ll likely be spending a lot of time outside. 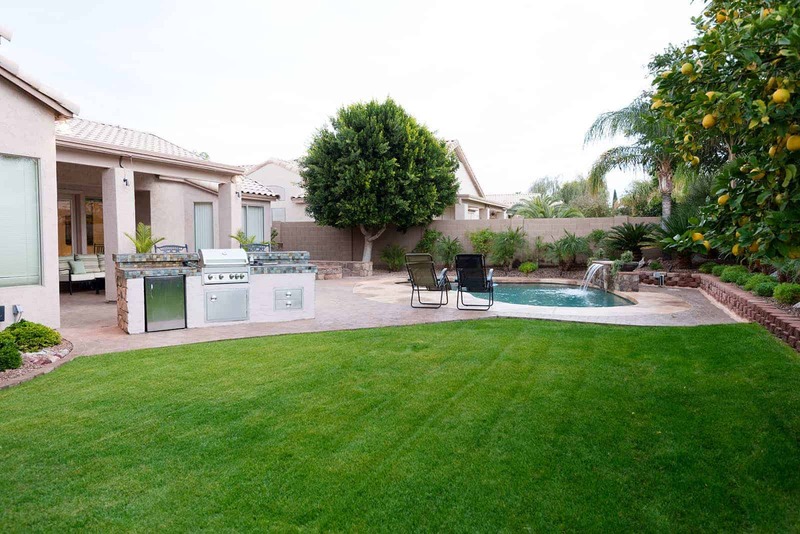 Whether you want your backyard to be kid-friendly, the neighborhood gathering place or space for just you, these backyard oasis ideas are sure to provide some inspiration for outdoor desert living. Outdoor furniture with comfort in mind. Take seat and put up your feet! Use outdoor furniture to define a gathering space or dining area. Opt for comfort and you’ll thank us later. Fire pit or outdoor fireplace. 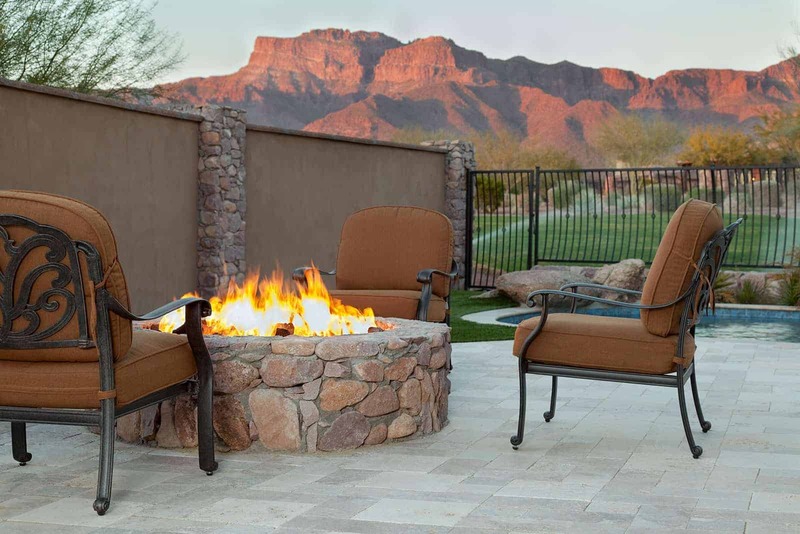 Build an outdoor fire pit area where you can gather with friends for a s’mores night. Add some chairs or a built-in bench for seating. 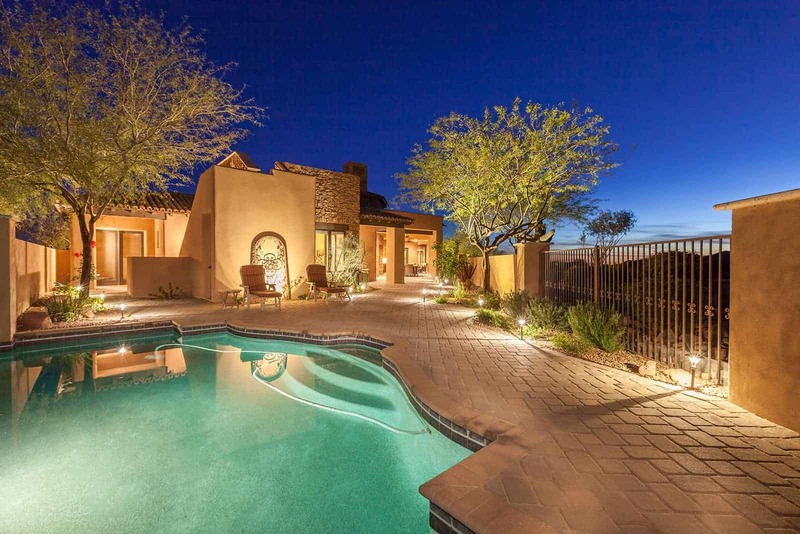 An often-overlooked outdoor feature, landscape lighting can take your backyard oasis to the next level. Sometimes it’s best to let the professionals handle this one. An outdoor kitchen that feeds the whole block. 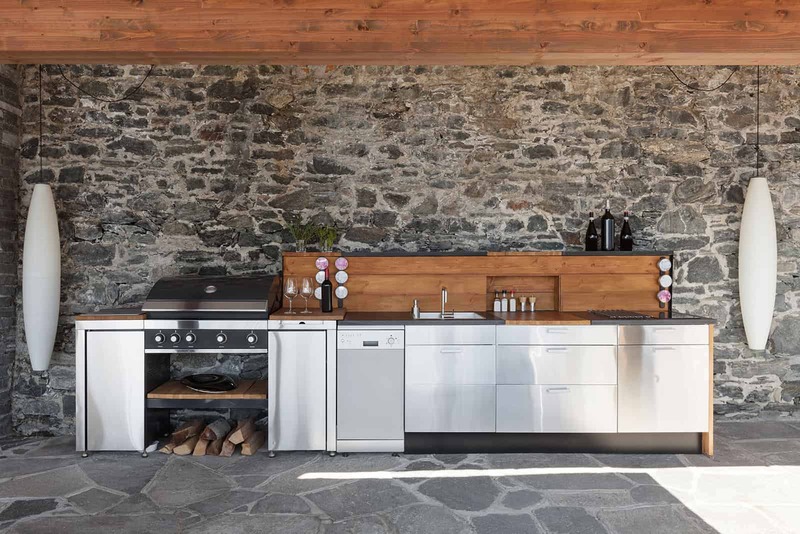 A mini fridge, stainless steel sink, ample prep space AND a heavy-duty barbecue? Sounds like our kind of backyard oasis. A cozy place to lay in the sun. Every backyard oasis needs a quiet area to soak up the sun. 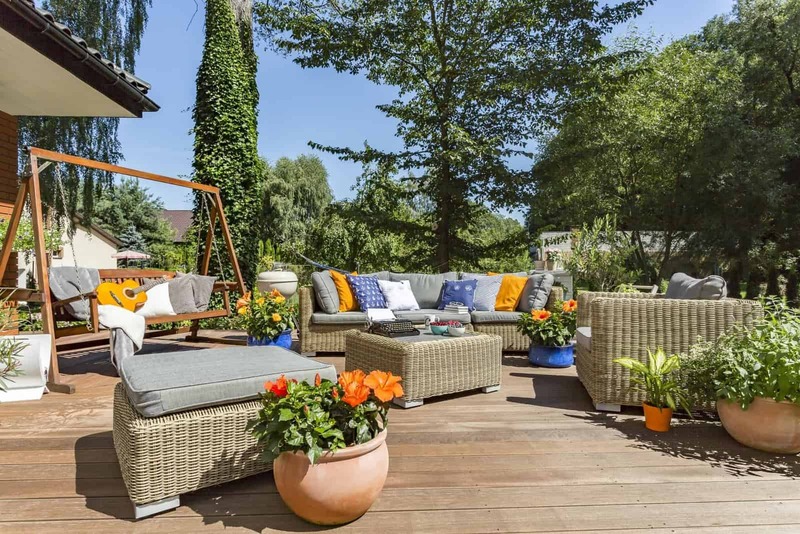 Arrange a couple lounge chairs with comfy cushions and an umbrella for the perfect outdoor lounge space. Peace of mind with a pool. Part of having a backyard oasis that the whole family can enjoy is installing proper pool safety barriers. You’ll have peace of mind knowing your kids are safe. A grass area where kids can play. Unless you’re a pro at lawn stripes like this, opt for artificial turf for grass that looks beautiful but doesn’t require much maintenance.